Reports suggest threats were made against the Myanmar players by extreme elements within Kyrgyzstan, whose population is 70% Muslim. 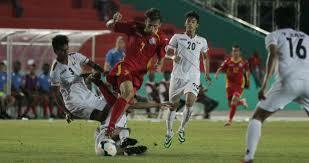 The head of Kyrgyzstan’s football federation, Semetei Sultanov said the match may be held in another country. Given the current situation, it seems highly unlikely a Muslim country will be willing to host the qualifying match.